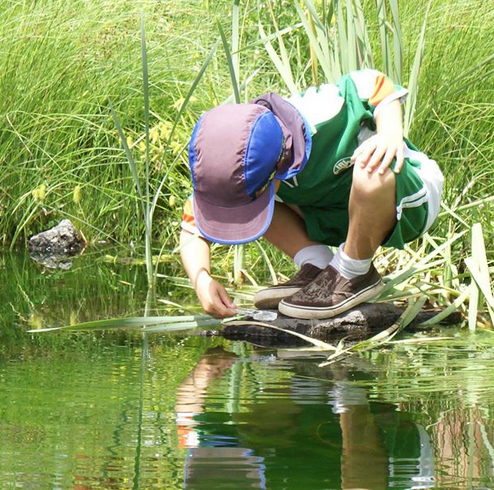 Established in 2003, the Nature Center is a tax-exempt, nonprofit educational organization. Our site is on 10 acres in Lakeside, next to the Big Springs Environmental Study Area, with 5 acres leased from the Town of Pinetop-Lakeside on its Mountain Meadow Recreation Complex. We started WMNC, a 501(c)(3) non-profit organization, in 2005 and purchased the land for the Nature Center in 2007. After years of planning and tremendous community support, the Nature Center complex is scheduled to be fully functional as soon as 2012. We are excited about the continuing development, and we are certain that the communities we serve will be, too! We are a valuable resource for sponsors and donors to exhibit goodwill and concern about the future of our natural resources. Integrate our work and the work of supporting organizations to educate our visitors and encourage responsible action to better steward the natural resources in which we all share and care about. Be an economic benefit to communities we serve by providing additional revenues from areas outside of the White Mountains. Commit to and advocate sustainable multiple use of our lands and resources. Serve the White Mountains as a wildlife rehabilitation center. Connecting people through nature education, wildlife rehabilitation, and open space preservation in the White Mountains of Arizona. Our management team has a great deal of experience in conserving and researching our earth’s natural resources. Our management team’s extensive experience ranges from managing wildlife in the Arizona Game and Fish Department to serving in the White Mountain Audubon Society.